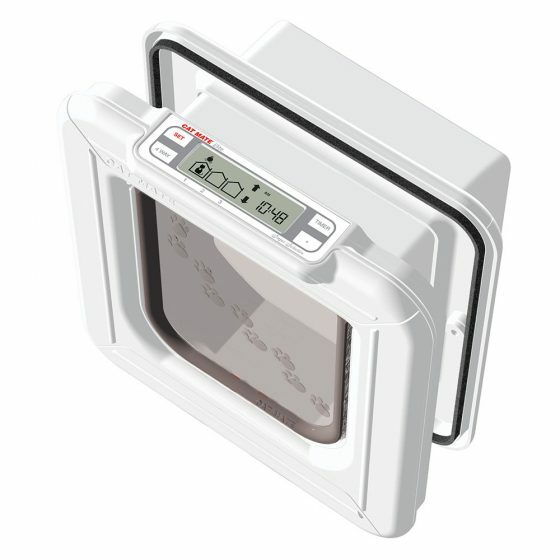 The Endura Flap Thermo Panel IIIe is designed to save energy. It’s easy to install, and it stops drafts! Shipping charge on panels are per panel. 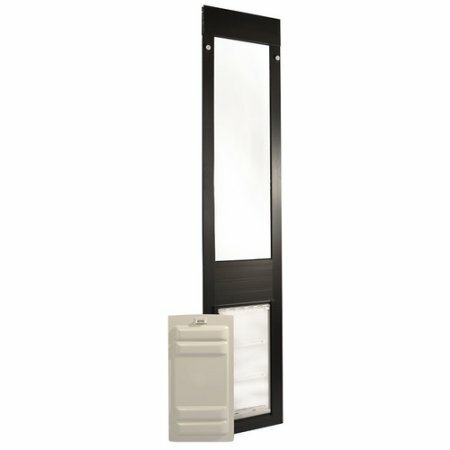 Panels can only be shipped to Alaska, Hawaii, or Puerto Rico by overnight service. Please call customer service at 800-749-9609 for shipping details. 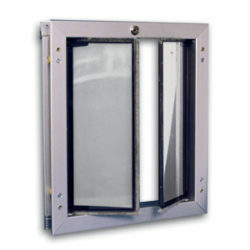 Dual-pane, Low-E glass insulates and filters out heat for energy efficiency. Flap material is a polyolefin-based polymer which is safe for your dogs, cats and the environment. 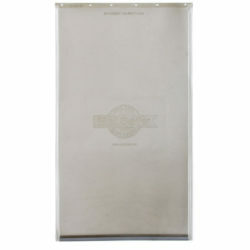 Unlike others flaps it remains flexible in temperatures as low as -40 degrees Fahrenheit. 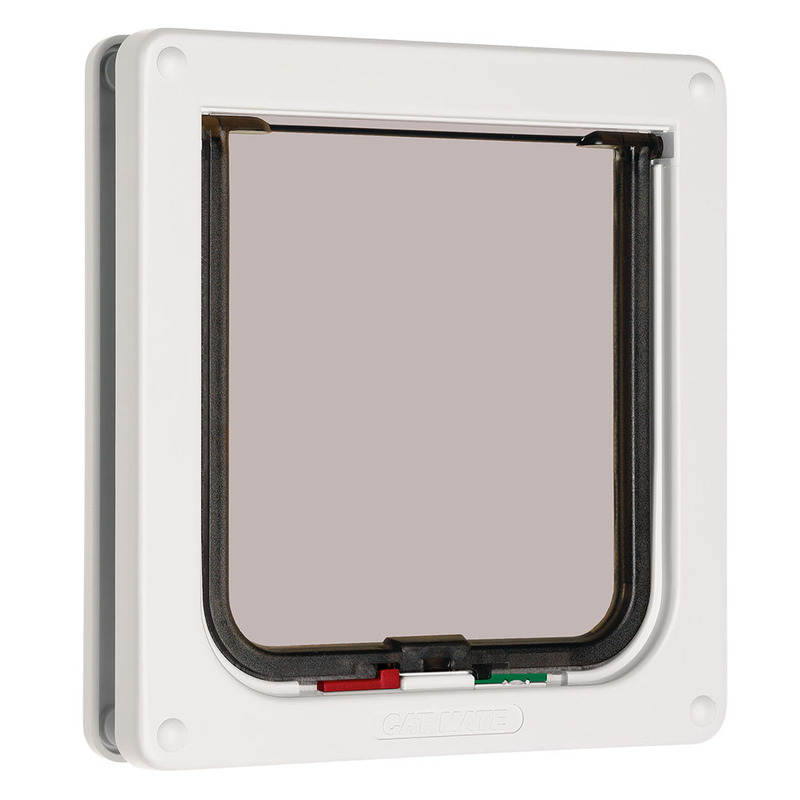 Simple design allows you to easily install and remove your panel as necessary; simply loosen the thumbscrews at the top to release the spring-loaded mechanism and tighten once in place! 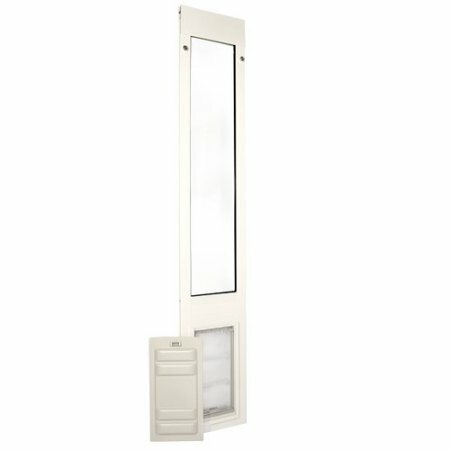 This panel will not mate with an existing sliding door lock so we include either a C-Clamp Lock for adjustment ranges up to 80 1/4″, or a Foot Lock for panels 80 1/4″ and above. You could also use the old “broomstick in the track” method or a Charley Bar. If your slider is on the outside you would be unable to use any lock besides the Foot Lock. 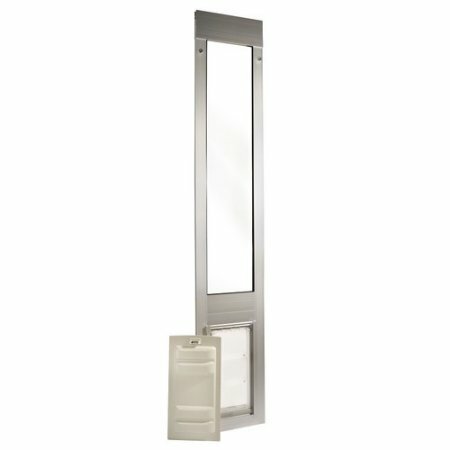 Which can be purchased separately here if your panel height is below 80 1/4. Choose from four different sizes that have a high aspect ratio, meaning they are taller and narrower to better fit more pets. 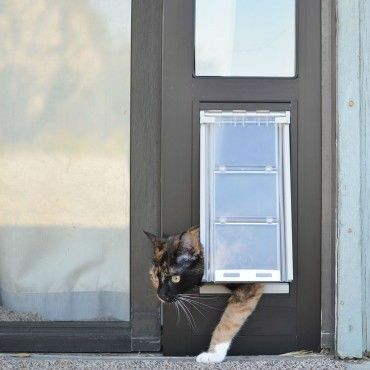 User-adjustable step-over feature allows you to set the height of the flap to best suit your pet. 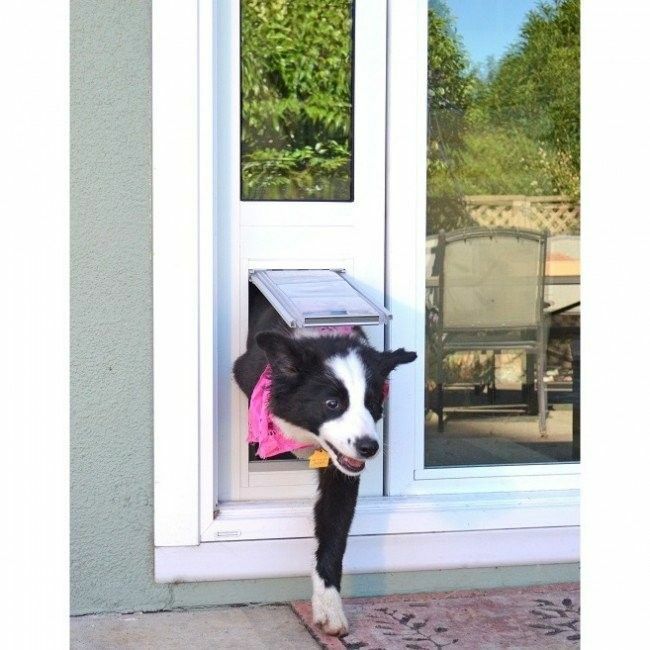 Solid magnet strips along the sides and magnets at the bottom of the flap keep your pet door sealed year round. Magnets are adjustable to make training easier. UV and wind resistant, the Endura Flap has been designed to remain sealed in winds up to 50 mph. 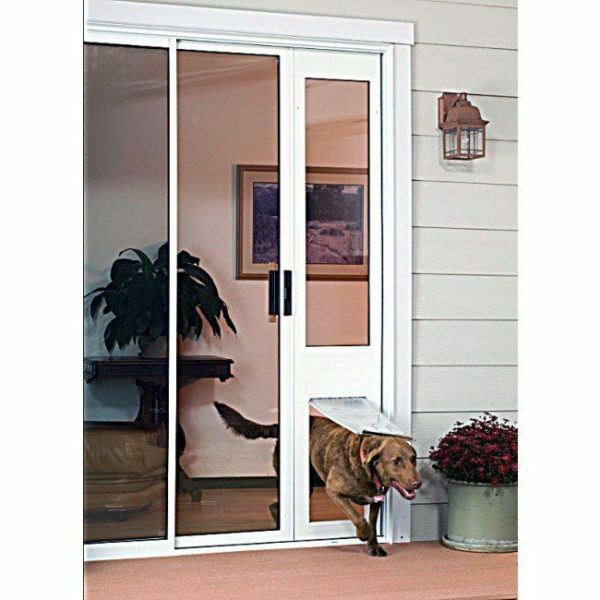 Heavy duty aluminum frame provides extreme strength and durability, designed for sliding glass door tracks at least 1” thick. 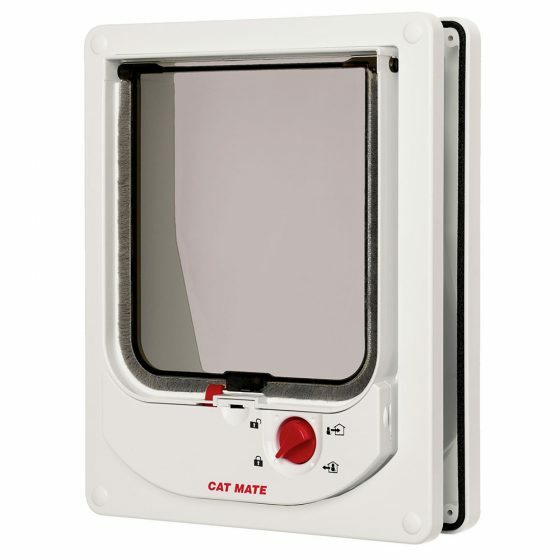 Durable and secure locking cover to close your pet door when necessary; equivalent to 1/16” steel. 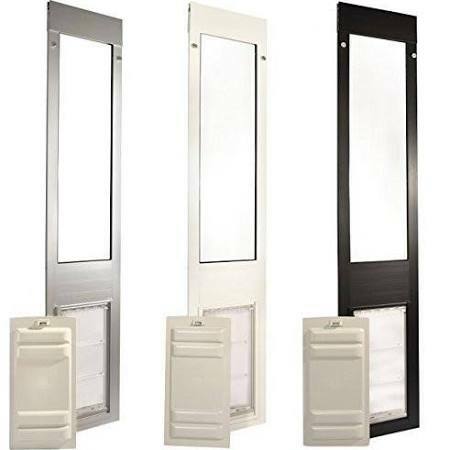 Three height ranges to fit most sliding glass doors, and if your slider doesn’t fall within these ranges we can custom build one for you! 90 day return policy, and a generous 15 year warranty for your peace of mind. Measure your pet’s height from the ground to the tallest point of their back. To measure width, it is best to open a door or block off a space to have your pet walk through. 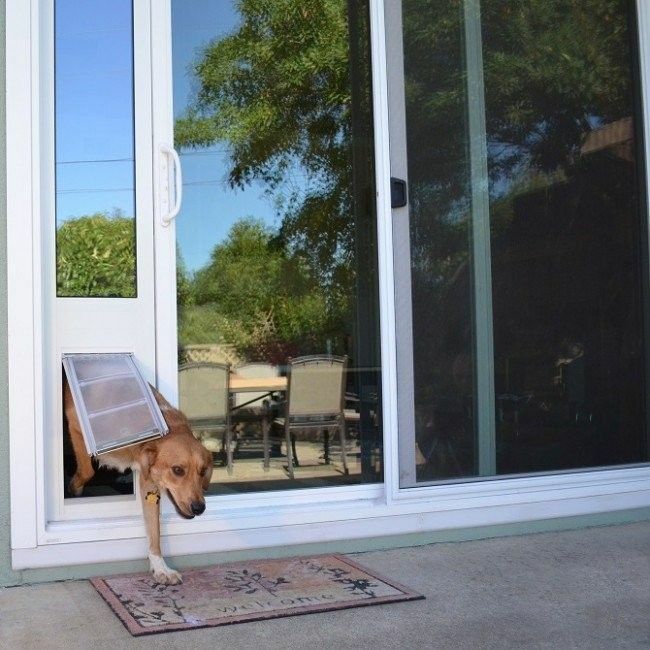 Measure the minimum width required for your pet to comfortably walk through without squeezing! 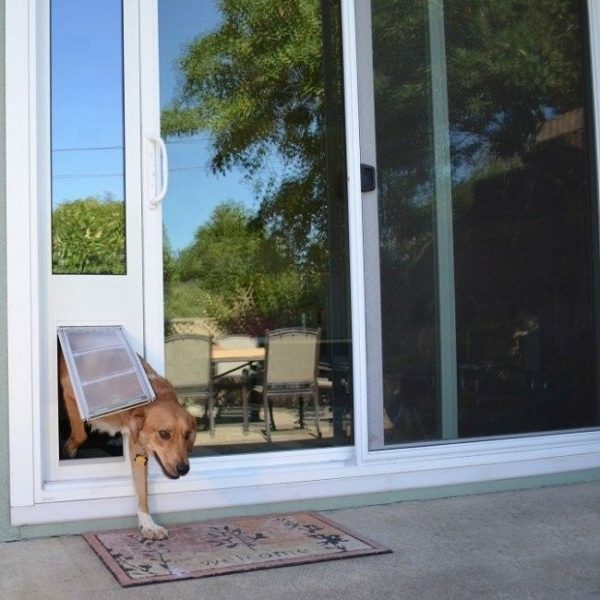 When selecting a flap, you will need to keep in mind how high off the ground the pet door will be mounted. We call this distance the Step Over. Add the step over to the flap height to determine the height of the top of the flap – this measurement needs to be at least 1″ taller than the height of your pet. Remember that a lower step over is always easier for your pet, especially as they get older! As a benchmark, most dogs will do great with a 3″-5″ step over. It varies based on body type and range of mobility. 74.75"-77.75", 77.25" – 80.25", 93"-96", Under 74", 80.5" – 93"